Charles E. Stout, age 84 of Crawford, Tennessee passed from this life Saturday, October 27, 2018, at Cookeville Regional Medical Center. He was born Thursday, July 26, 1934 in Putnam County, Tennessee. He was the son of the late Charlie Stout and the late Beulah Thompson Vickers. He was a loving husband, father, grandfather, and great grandfather, and was a friend to all who knew him. He retired from the U.S. Army after serving during the Korean and Vietnam Wars. 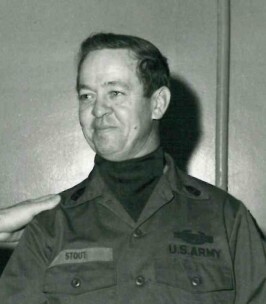 In addition to his parents Mr. Stout was preceded in death by a daughter Linda Stout..
Funeral services for Mr. Stout will be held Friday, November 2, 2018 beginning at 1:00 pm from the chapel of Crest Lawn Funeral Home with Bro. Kevin Phillips officiating. Entombment will follow in Crest Lawn Memorial Cemetery Mausoleums. The family will receive friends at the funeral home Friday, November 2, 2018 from 11:00 am until time of service at 1:00 pm. To send flowers to the family of Charles E. Stout, please visit our Heartfelt Sympathies Store.